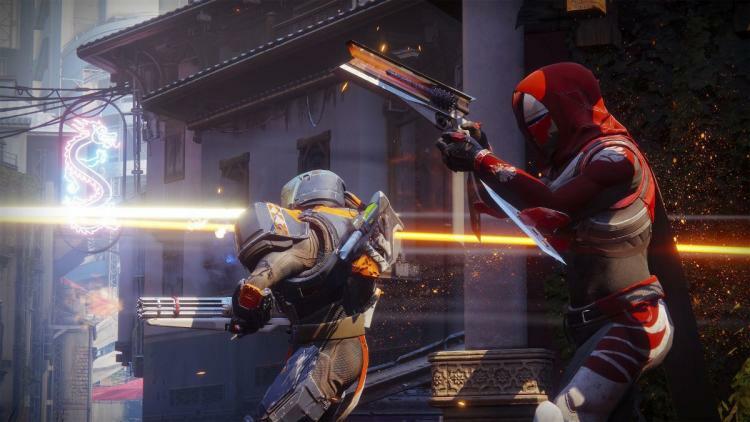 Destiny's sequel and long-await PC debut is almost here as Activision prepare for the August 28th beta, and with any major PC launch you're going to want an updated set of graphics card drivers. Thankfully NVIDIA are once again ahead of the game with today's Game Ready Driver release (Release Version 385.41), including optimisations for Destiny 2 as well as new features for PlayerUnknown's Battlegrounds and Pro Evolution Soccer 2018. As detailed on the Geforce.com Blog NVIDIA, Activision and Bungie are collaborating closely to integrate GamesWorks features into the game as well as optimise for higher resolutions and image quality settings. Recently Destiny 2 was demonstrated running at 4K 60fps, a rare feat for any game yet possible long before this game's official launch in late October. Destiny 2 will support 4K HDR on launch, as well as NVIDIA SLI for improve performance on systems equipped with two discrete GPUs. Furthermore, NVIDIA have renewed their GTX 10-series Destiny 2 promotion. For a limited time, customers who purchase a new GTX 1080 or GTX 1080 Ti alone, as part of a system, or laptop can qualify for a free copy of the game before it launches. In addition to Destiny 2, the latest NVIDIA drivers also offer new features for a couple of other upcoming titles. First up is PlayerUnknown's Battlegrounds. Currently one of the most popular games on Steam (despite its Beta development status), this Battle Royalé FPS still has quite a few kinks to iron out before it officially launches. However when it does launch it will already have support for NVIDIA ShadowPlay Highlights, a feature which is integrated directly into the game and automatically captures highlight moments as video without the player needing to lift a finger. Not content with this feature alone, PUBG will now also support HBAO+ for more realistic shadows on particularly high-performance systems equipped with NVIDIA GTX Graphics. https://www.geforce.com/whats-new/articles/ansel-revolutionizing-game-screenshots]Ansel,[/url] described as a next-generation screenshotting tool, allows you to compose in-game screenshots high high accuracy, capture at extreme resolutions well beyond 4K, and even supports stereoscopic 360-degree images for VR display on HMDs or Smartphones. These screenshots can then be easily shared on social media using NVIDIA's purpose-built tool. Available on or before launch day, NVIDIA Game Ready Drivers provide the best experience for GeForce gamers in these titles because NVIDIA engineers work up until the last possible minute to optimize performance and perfect gameplay. And as an additional verification of quality, every Game Ready Driver is WHQL-certified by Microsoft. These new drivers are dialed in for the official launch of Ark: Survival Evolved on August 29, F1 2017 on August 25 and Pro Evolution Soccer 2018 on Sept 12. The latest drivers can be downloaded at https://www.geforce.com/drivers or through the GeForce Experience app. The GeForce 385.41 WHQL Game Ready driver also incorporates all the improvements made in prior driver generations. Provides the optimal gaming experience for Destiny 2 PC Open Beta, PlayerUnknown's Battlegrounds, ARK: Survival Evolved, F1 2017, Pro Evolution Soccer 2018, and Quake Champions Early Access.